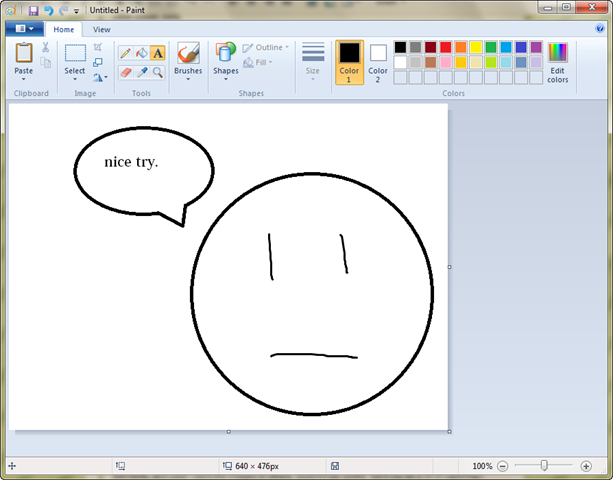 I’ve been meaning to do a Windows 7 review for quite some time, but have always been stopped by the fact that I hadn’t used it for long enough to say I’ve been through the good as well as the bad. Now that I’ve used it for a while, though, I’m ready to critique it, and for the most part, I’m impressed. Let’s begin this review from the beginning: the installer. One thing that annoys me about the installer, however, is that you are required to create a 100mb partition for the Windows Boot Manager, which messes up whatever you had previously. I find it difficult to install Windows 7 after installing Linux, as the Linux installer seems to know how to handle Windows, but not the other way around. I’ve also had some problems installing on Bootcamp on OS X 10.5, and while I realize 10.6 has a new Bootcamp update that fixes a lot of problems, I couldn’t even get the 64-bit DVD to boot on my 64-bit Mac. Oh well, I’m not ready for 64 bits anyways. 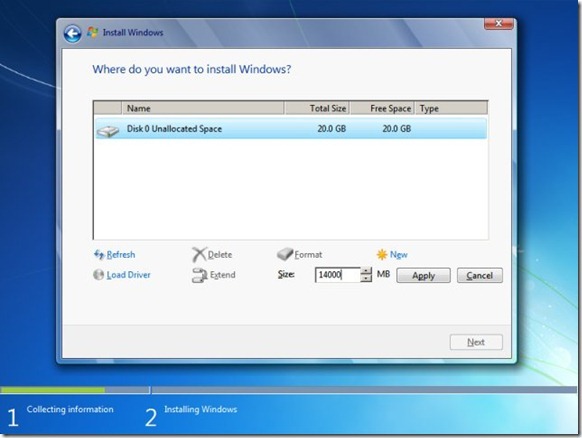 As far as clean installs go, the Windows 7 installer couldn’t be easier. Just wipe your drive, set your settings, and go (considering you can get the installer to boot.) For upgrading, I didn’t have a lot of compatibility problems, but it took considerably longer to do, and I really don’t recommend it. Always clean install, folks. Upon my first boot of Windows 7, I had all my CDs ready to go, expecting to install a lot of drivers before I could get on the net, display with hardware acceleration, print, or use the hotkeys on my keyboard. I was pleasantly surprised to find out that my wireless card, a Linksys WUSB54GC, was detected right out of the box, and I was online downloading updated drivers for everything else before I knew it. Most of my devices, including my controllers, microphone, and graphics were detected as well, and I only needed drivers for my keyboard’s hotkeys and my mouse’s extra buttons. None of my hardware is incompatible with Windows 7 thus far, even old floppy drives are able to be detected and installed. 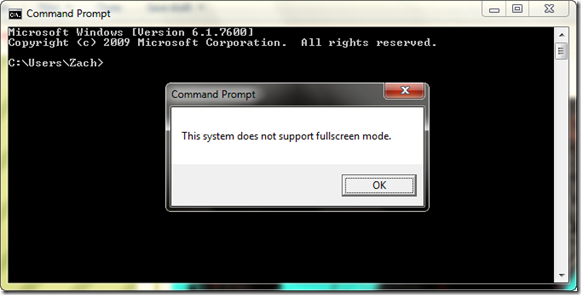 Old device drivers seem to work with Windows 7 too. How’s that for “just works,” Mac fans? Yeah, I’m one of those weird people who puts their taskbar on a different side of the screen. I also auto-hide it. 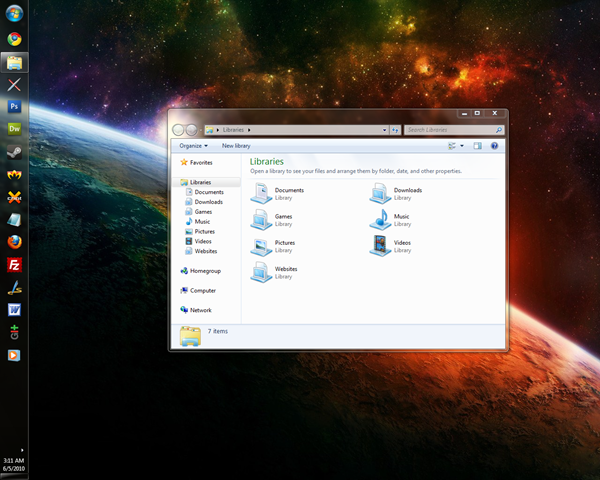 Windows 7 makes it a lot more fashionable to do this, too, since with the hiding of app labels all the icons can just fit into a slot no matter which way the taskbar is oriented. 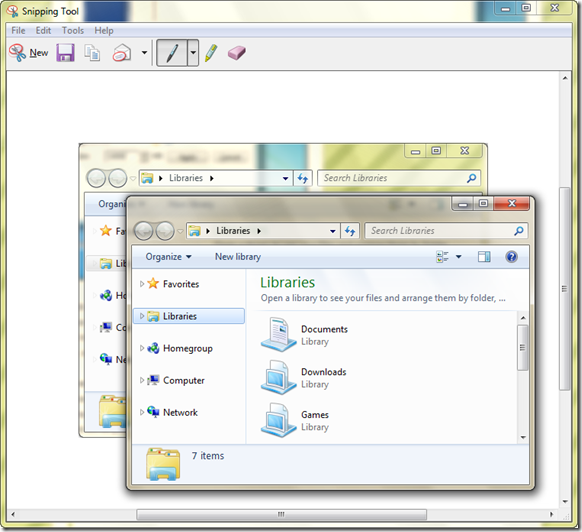 Also, when auto-hide is on, there is no ugly bar on top of the taskbar like there was on XP. As with Vista, you can choose any interface color you want for the stunning Aero theme. Unlike Vista, however, Aero frames don’t dim themselves when maximized, letting you have bright interface colors all the time if you choose. Aero feels a lot more polished in this release, and the dedicated “show desktop” button is something I use all the time. 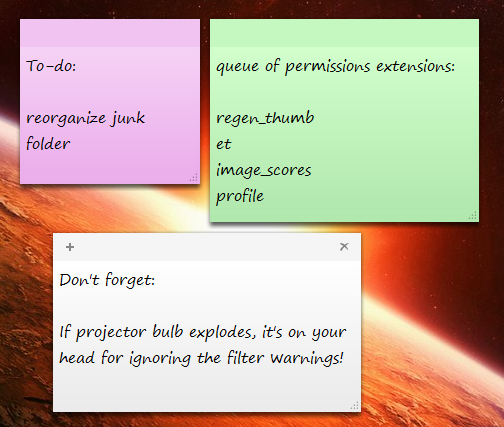 Pinning icons to the taskbar is a lot more convenient than the Quick Launch ever was. 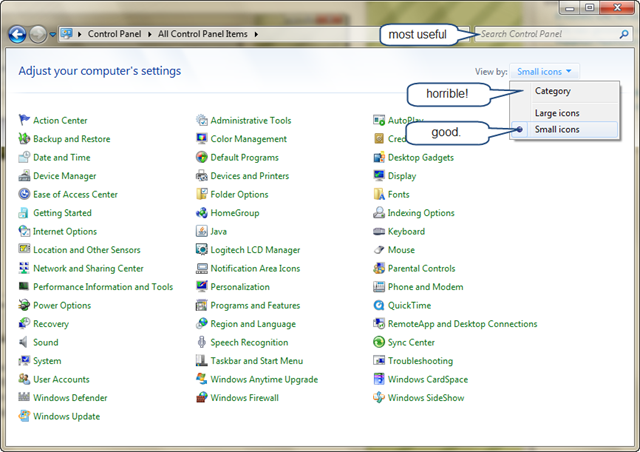 The Windows 7 Control Panel isn’t all that different than Vista’s, and as long as they keep a “classic” view of some sort around, I won’t take much of an issue with them. Category view stinks when you know what you want to do, but the control panel search is amazingly accurate at finding the right settings. This isn’t an all-inclusive list of programs, but instead ones that I’ve actually used or attempted to use in the last 8 months. Some programs like IE8 or Windows Media Center I simply haven’t ever used, and thus it would be of no value to anyone for me to review them. A nice little utility that can capture sections of your screen and annotate them, highlight important elements, and save / send the images to others. 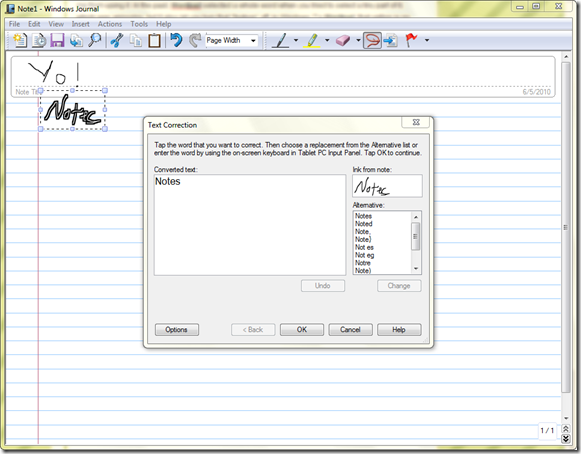 Surprisingly useful, but if you do a lot of capturing I recommend Snagit or Jing by Techsmith. Call me old school, but I’m not a big fan of the ribbon. 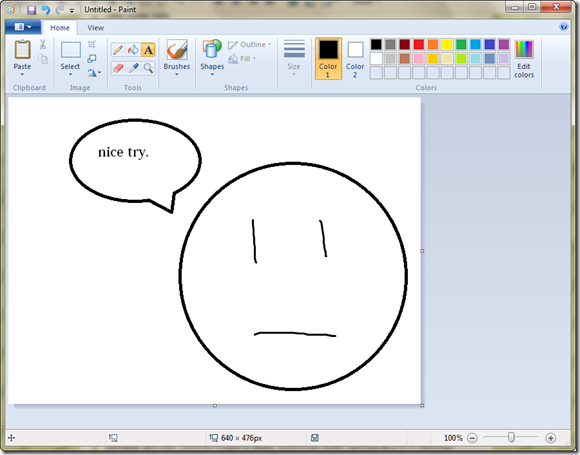 Microsoft obviously tried to make Paint better, but it’s good just the way it was. One cool improvement is that when you draw shapes, you can adjust them after drawing them to make sure they’re good before setting them in stone, but once you click away from the shape, you can’t go back and change it’s size without it getting all pixelated. Also, none of the shapes are anti-aliased, giving everything that look that only Paint gives. If they seriously wanted to improve Paint, they’d add anti-aliasing. The way it is is now, they’d have done better to leave it alone. The poor man’s Microsoft Word never looked so good in Windows 7, but there’s one thing that keeps me from using it. In the past, Wordpad selected a whole word when you tried to select a tiny part of it, which was annoying, but it also let you turn that “feature” off. 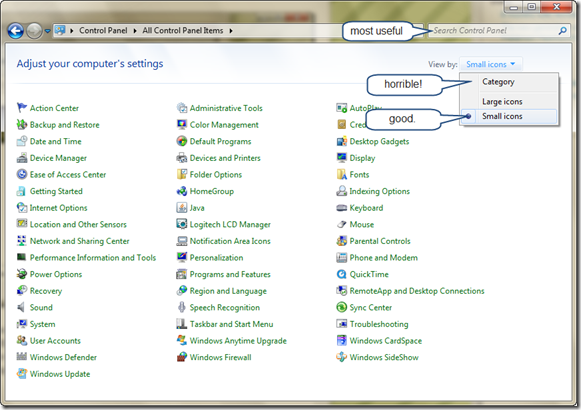 In Windows 7’s Wordpad, that option is no longer available, and now I’m unable to select parts of words, making working with code impossible in Wordpad. Why would I want to work with code in Wordpad, you might wonder? If you’re opening files formatted with a different line-break format, Wordpad picks up on this, while Notepad scratches its head. It was incredibly useful for configuration files, but now I need to boot up Comodo or Dreamweaver to change some simple thing. 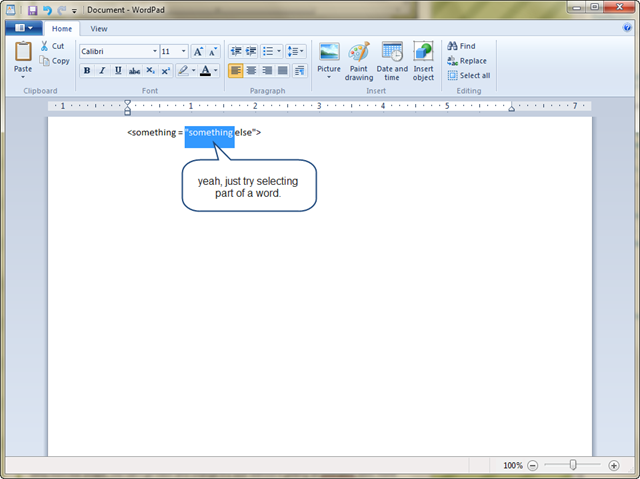 My recommendation: XP Wordpad had it right. A simple application with a simple purpose. The notes open again after a reboot, and live on the desktop instead of on a sidebar. Not much to say except that these are incredibly useful. I don’t have a tablet PC, but this app makes me want one. The handwriting recognition is surprisingly accurate, and would be ideal for scribbling down notes during lectures, but the program doesn’t simultaneously record audio as Livescribe’s Pulse Smartpen does. It’s free, however, so what can you expect. It’s a cool app, and I’d like to try it on a real tablet. 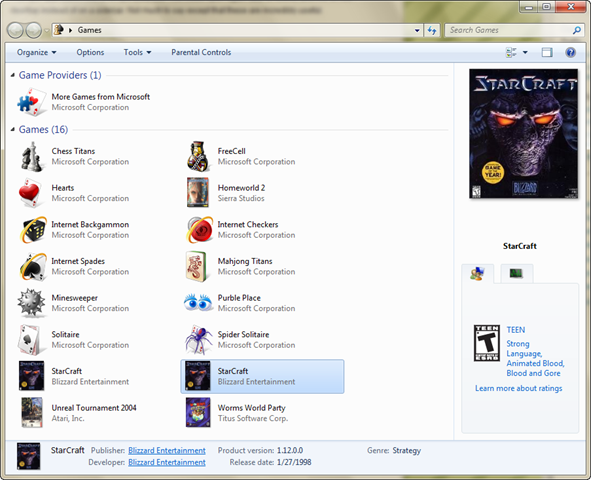 Same stuff as Vista, though I think the Mahjong game is new, and I know Inkball is gone. My recommendation is to add all the default games to Steam instead of using the Game Manager if you have an account with them, as the information they give on the right pane isn’t all that useful. Microsoft has really outdone itself with the latest WMP. The interface pictured above isn’t the one you’ll see when you open a file, instead you’ll simply see the cover art in a tiny window and some basic controls. Everything feels lightweight, and lightweight in this case is good. iTunes takes forever to do the most basic of tasks (for my old comp, at least) and WMP does everything in a snap. 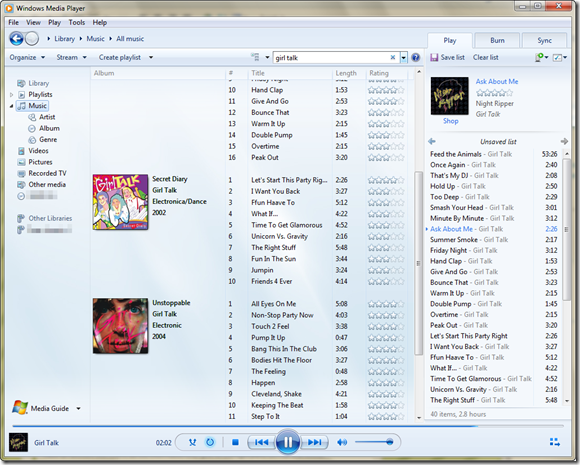 I still prefer iTunes for organization, however. 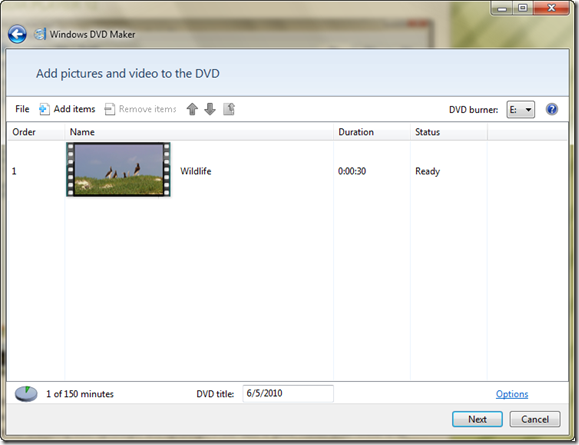 After using Windows DVD maker one time, I was ready to throw iDVD to the fire and flames. 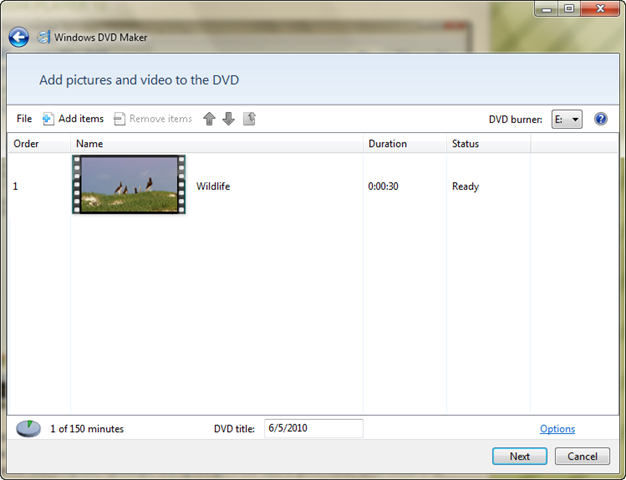 It’s dead simple to create DVDs with this tool, and it even creates chapter select menus with thumbnails automatically! Not to mention there’s no stupid Apple watermarks all over the finished product. Seriously something everyone who needs to burn DVDs should look at. 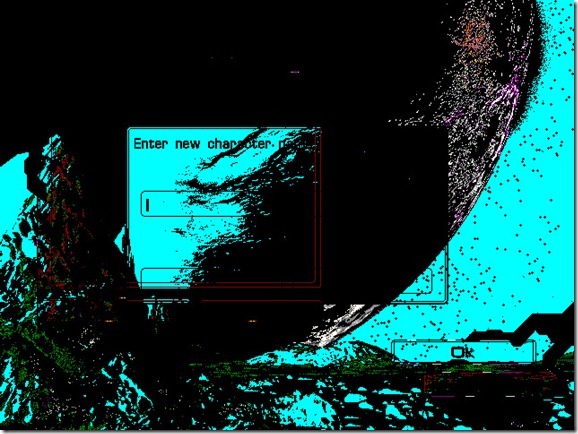 Ay, here’s the rub: for in this new Windows what old programs may come across when we have shuffled into the past must give us pause, or in the case of some apps, a complete system failure. A lot of old games such as Starcraft and Worms have messed up colors when Explorer is running, and the only way to fix it is to close Explorer if you want to run anything at all. 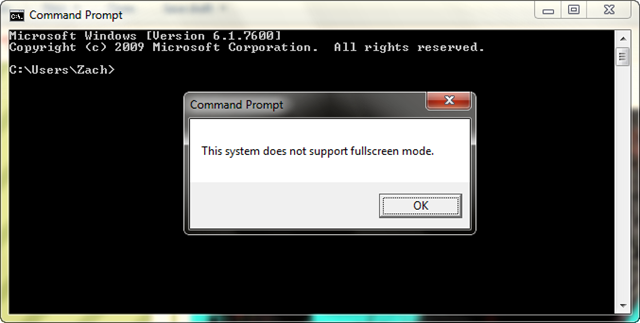 Running full-screen MS-DOS apps is a no-go, just like in Vista, and once again this is annoying. In 64-bit Windows 7, 16-bit apps can’t run, and a lot of apps designed for older systems just don’t work or cause the system to lock up. Now, how about XP mode? Not for graphic intensive stuff, no way. Besides, home premium users don’t even get to use XP mode, and since I’m on home premium I can’t test it, but it’s clearly designed for business use. After using Windows 7 since release day in October, I really like it. 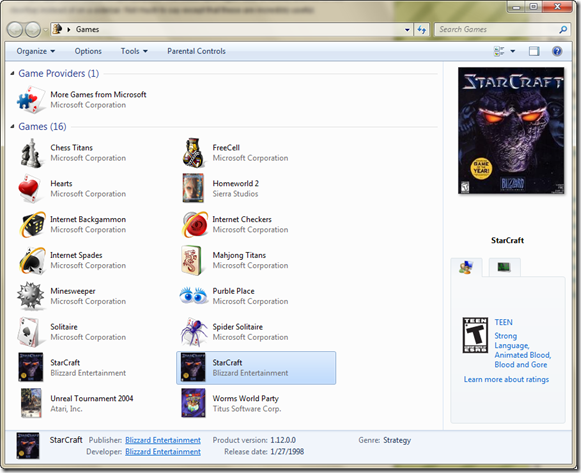 Some of the bundled applications are worth the upgrade, others make me yearn for XP back. The interface is nice and polished, and hardware detection / compatibility is excellent, but program compatibility has some serious issues at times. I’ve ran a netbook with XP home for about the same time I’ve had Windows 7, and I haven’t particularly felt like I need any of the features Windows 7 offers over XP, and if I was forced to use XP I’d have no problem with it. I couldn’t, however, live with Windows 2000 or earlier on a day-to-day basis, as it is just not advanced enough to keep up with today’s tech. Once XP gets to that point, I would recommend an upgrade more strongly, but for now, 7 is basically Vista the way Vista should have been from the beginning.